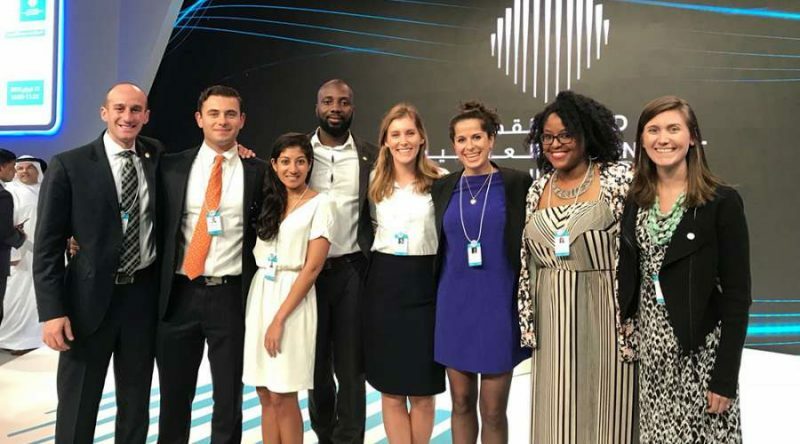 Last January I had the honor of representing Dartmouth’s Tuck School of Business at The World Government Summit, a three-day conference hosted in Dubai by the government of the United Arab Emirates (UAE). The Summit, which brought together political leaders and digital gurus sought to drive meaningful conversations around how innovation and partnership can create solutions to some of our world’s most pressing issues. As someone who worked on a presidential political campaign as well as for a multinational media technology company, I viewed participating in this Summit as the consummate intersection of two sectors about which I am deeply passionate: government and digital strategies. For quite some time now I have believed that the nexus of these sectors offers the greatest potential for positive scalable change. During the Summit I learned how the government of Dubai – one of the seven constituent monarchies of the UAE – was investing in game-changing technologies that would diversify local oil dependencies, improve human rights, and drive smart global communication. I learned how access to digital platforms and the use of cryptocurrencies can be democratizing for some, while simultaneously disenfranchising for others. What some speakers lauded as utopian efforts, others identified as more dystopian given their acceleration of increasingly growing wealth gaps. I flew back to Hanover with a head full of ideas, new professional contacts, and a commitment to bring more Tuckies back this coming year so they could enjoy the same wonderful experience I had. That said, at no time during my trip did I pause to think about where these conversations were coming from or who was driving them — even though this Summit was hosted by the local government, I hadn’t thought to inquire how this entity was crafting or shaping the conversation. For example, how did the Government of Dubai, under the executive authority of Mohammed bin Rashid Al Maktoum decide to invest in certain digital efforts versus others and how were various government attendees thinking about creating digital policies? Further, how do different forms of government lead to different conversations/opportunities and how they are implemented? These questions crystalized three weeks later when I traveled back through Dubai to Singapore and subsequently Laos for my Global Insight Expedition (GIX) class. During this trip I came to glimpse how two vastly different types of governments, one a highly-involved sovereign republic and the other a military-led communist state, created different types and varying access to digital opportunities. While it would be irresponsible to claim that specific types of governments inherently support certain industries, or even that any one government structure is particularly beneficial for digital, I noticed that in the cases of Singapore and Laos, digital opportunities fundamentally germinated from different sectors, and the level of government support was significantly different. Now whether this is causality or correlation I am not positive, but as an American who grew up with unwavering access to the digital world, this realization made me question whether a country’s underlying structure has serious ramifications on the digital opportunities in that country. Before sharing what I noticed, I would first like to acknowledge that this question may come off as privileged and naïve. That said, prior to this trip I had never thought about nor heard anyone discuss the implications of government on the digital landscape. Perhaps that is because I was fortunate to grow up with consistent access to digital opportunities, a privilege I heartily acknowledge and appreciate. When people talk about politics and infrastructure, they’re almost always talking about elements of physical connectivity (i.e. highways or public transportation options such as trains) or brick and mortar places (i.e. publicly shared hospitals or libraries). As the world is shifting towards an information economy, digital infrastructure is needed as well. In Dubai and Singapore, one has Wi-Fi in every store, on every street. 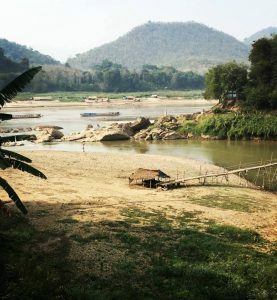 In Laos, the vast majority of the country does not have internet, so educational and economic opportunities outside of cities are dependent on existing relationship-based systems. 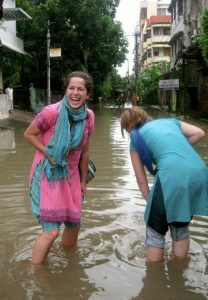 In Chittagong, Bangladesh where I lived after graduating from Middlebury College, internet cafes sprinkled every couple of streets but as soon as I traveled outside the city, internet café numbers dropped to zero. While many Bangladeshis had cell phones to communicate, service was so spotty in the countryside that even village-to-village communication was difficult, and therefore sharing knowledge and information was incredibly limited. If you turn on the news or open a newspaper, we are hearing increasingly more about the wealth gap, but politicians continue to lean on old-school, non-digital tactics in their attempts to bridge gaps that are fueled by digital inequalities. Politicians need to broaden their toolkits. As the digital world continues to explode, the rich will get richer and relatively, the poor will get poorer unless governments can find a way to systematically level the playing field by providing access to previously inaccessible digital opportunities. Infrastructure can no longer just mean physical connectivity, but also digital connectivity. Some argue that countries with poor digital infrastructures are ripe for private investment and while I agree with the premise, this statement ignores the fact that investors, unless socially-oriented usually steer clear because these types of investments are extremely high risk/low-return and require a long lead time until profitability. Universally-accessible digital infrastructure would go a long way in providing meaningful opportunities to those who need them most today, planting opportunities that would otherwise not likely take root (or at least not for a very long time). Different government structures implement policy at different speeds. 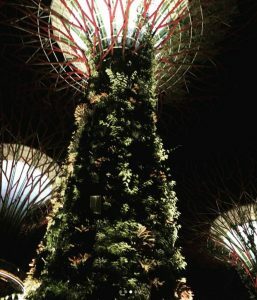 Singapore’s “Gardens by the Bay” was a part of a national effort to enhance the city’s greenery. The gardens feature the Supertrees which are used for light and music shows. Put another way, the inherent structure of a government is important because it can undermine or facilitate quick policy implementation. While yes, there are countless other elements such as a country’s size, uniformity of culture, and wealth that contribute to how quickly (and effectively) policies are implemented, government structure is rarely raised as a source of underlying strength/weakness. Further, as someone who has become increasingly disheartened by the US government’s inability to find consensus, I believe it is our civic duty to understand what current structures optimize for, so we can best determine how to meaningfully make progress together. Looking at Singapore as an example of an authoritarian government, one can see how policy changes are implemented faster than with non-authoritarian governments such as the US because decisions can be reached quicker, by fewer individuals, and implemented across governmental agencies (via reforms in areas such as education, taxes, international business, etc.). The checks and balances on an authoritarian government are severely limited and therefore, when the government of Singapore decides to invest heavily in digital strategies, the impact is immediate and deep. The flood gates open. They adopted policies to make it more attractive for foreigners to establish local startups, reallocated educational resources to more STEM-related courses, and even provided readily accessible public funding for innovative projects. In democratic republics like the United States, private players often play a larger role in driving the national conversation around digital as governments tend to be slower-moving. Checks and balances, while crucially important to the US Founding Fathers, frequently act as levies that restrict the passage of sweeping reforms. Civilians have varying levels of trust in their respective governments and digital trust is foundational to a country’s economic growth. In conclusion, this past year has really made me reevaluate the dynamic relationship between governments and digital strategies. I now consider digital infrastructure as a key tenet of infrastructure and believe that governmental support broadening access to the internet is needed to level the playing field in many developing countries. Secondly, I have seen how various governmental structures can optimize for various elements such as immediate implementation. Lastly, I now consider trust in one’s government as crucial for securing investments and therefore digital opportunity. I’m excited to see how this year’s travels will continue to shape my thinking.